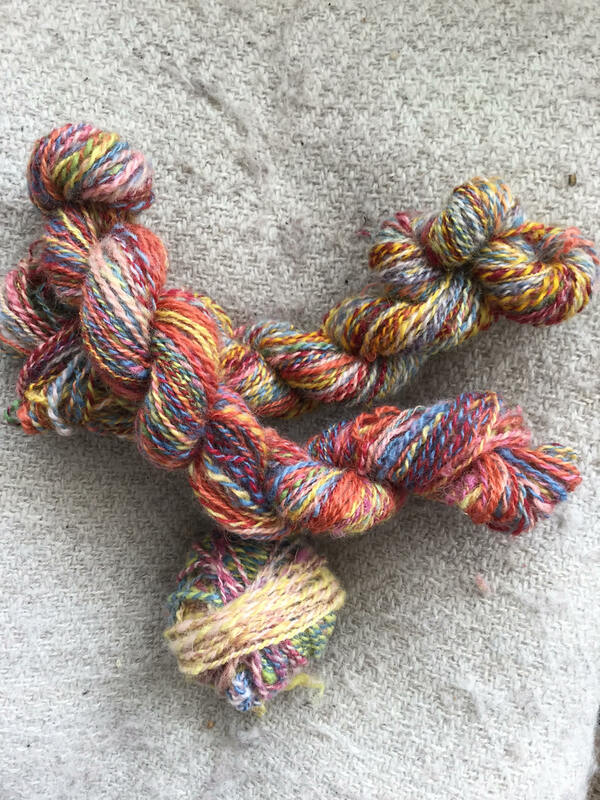 Mince Pies, Dark Winter Skies, and Spindle Spun Wool. At the moment the light is incredible through my living room window, which incidentally is outlined for the tenth Christmas in a row in the deep blue Christmas lights I bought at Habitat before that magical place closed down. The pale winter sun in a calm sky belies the weather forecast of a windy Christmas with boat disruptions which may or may not happen. My family don’t get here until after New Year so maybe, with any luck, etc., etc. The room is now lit by candlelight as the sky reflects the last of the sun and the clouds disappear slowly. With the radio playing a mix of classical music and carols, my soul is contented. Just as I started to write this the mail arrived with what will sadly be the last edition of the magazine “Yarnmaker”. There was my article which I wrote a few months ago about my good friend Col. James Innes, OBE who built the spinning wheels I used for teaching at Silverbirch when I first came to Arran. It was lovely to read it all again and reminisce about the rapport we had and the love of handspinning and wheels. Information about the magazine and about spinning will be available on the website http://www.yarnmaker.co.uk. Writing about this day would indeed not be complete without mentioning the amazing lunch we had today at the Glen Estate Lunch Club. Michael the chef made the most succulent turkey with mashed potatoes and brussel sprouts and carrots cooked to perfection. With millionaire shortbread cheesecake to follow, body as well as soul is contented in this winter twilight.